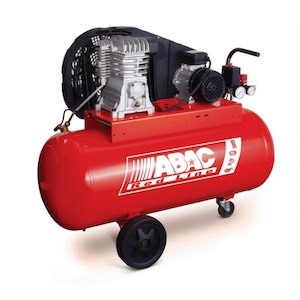 Abac is an excellent producer of air compressors for the industry, professional or hobby market. This Italian Brand has clients from all over the world, making them well-known for their quality and excellent products. Whether they are house models or professional models, Abac compressors are well-finished and equipped with updated technologies which make their use impeccable. Besides compressors, you can find accessory kits for your compressor, available on our online catalog. LINE Series: this line offers trustworthy "plug and play" solutions. PRO Series: this line offers maximum comfort and easy use. 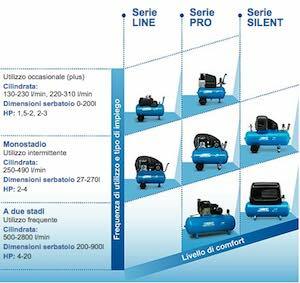 SILENT Series: this line offers compressors with soundproofed trunks.